A quick-read for a mood-lifting, soul-centering, and stress-relieving morsel. 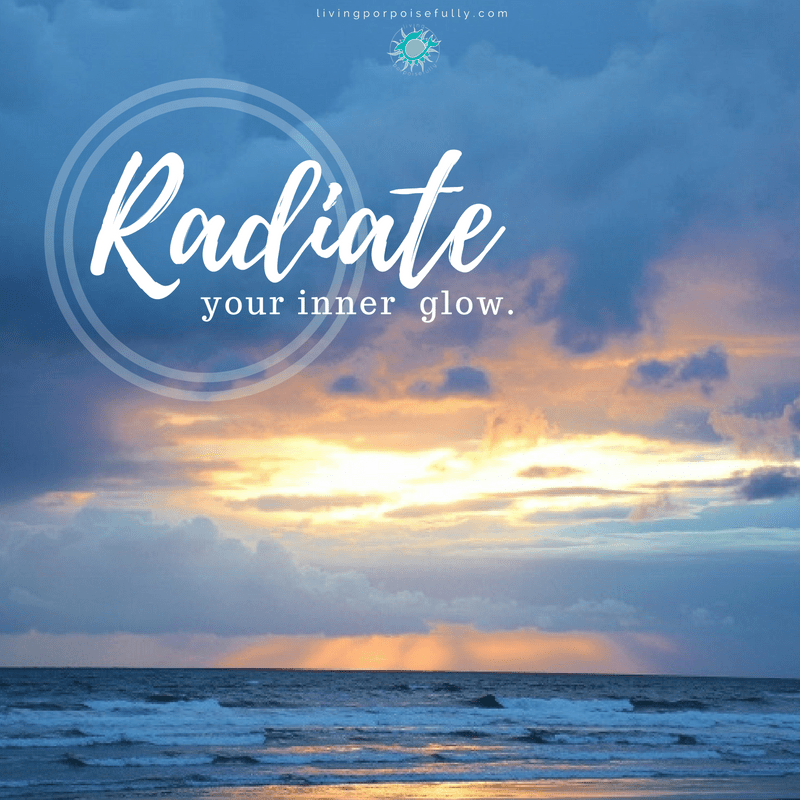 We all have that inner glow, but sometimes we get so weighed down in all of our day-to-day lives that we forget to dust it off and let it shine. While watching the sunrise at Cannon Beach, Oregon (travel post coming soon! ), we stood in awe of the beautiful sun-glow coming through the clouds, and took this picture as we marveled and soaked in the inspiration. Whatever you’ve got going on that may have clouded over your inner light — those stresses that have a tendency to build up inside — relax and let your inner glow take over. How? Start with a breath, and a simple thought to invite that sweet glow to shine. Keep those thoughts coming all day long! We all can so easily forget that we have that power, and when it shines through, life is so much, well, brighter! 🙂 Stress melts away, our light uplifts others, and everything looks brighter. So, go on and radiate! Yes, good to take a breath and restore that sense of calm, despite what is on our plate. Beautiful picture reminds of the serenity smelling the salt air. Nice to downshift !!! Thanks. So glad you felt the calm and smelled the salt air through the screen 🙂 Thank you for your comment!